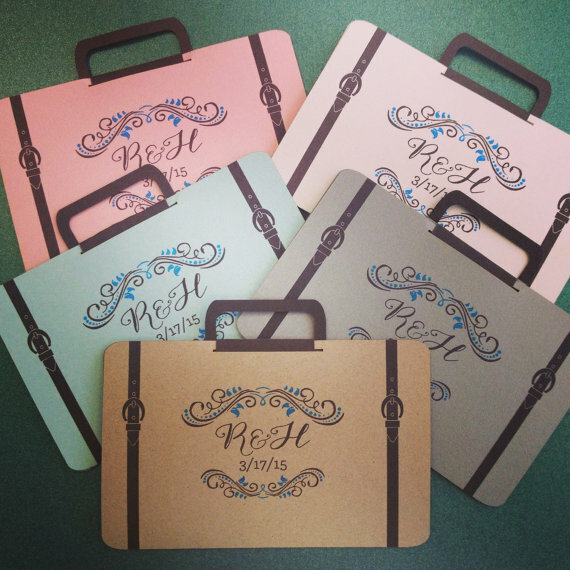 The Suitcase Destination Wedding Invitation features a large printable area for Hotel and Travel information. 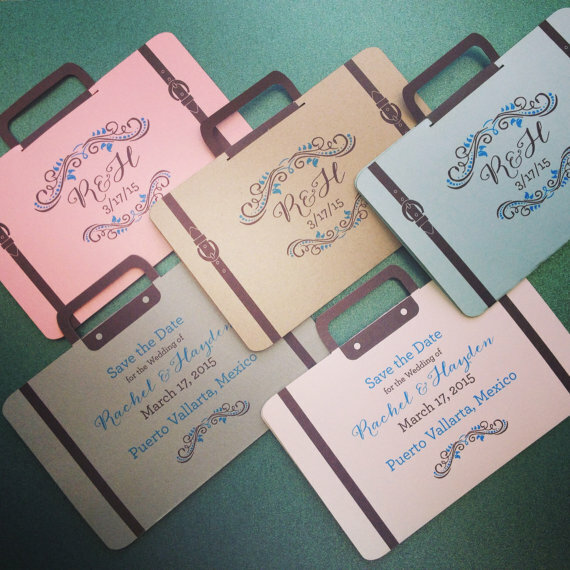 The invitations color scheme and paper can be customized for you. 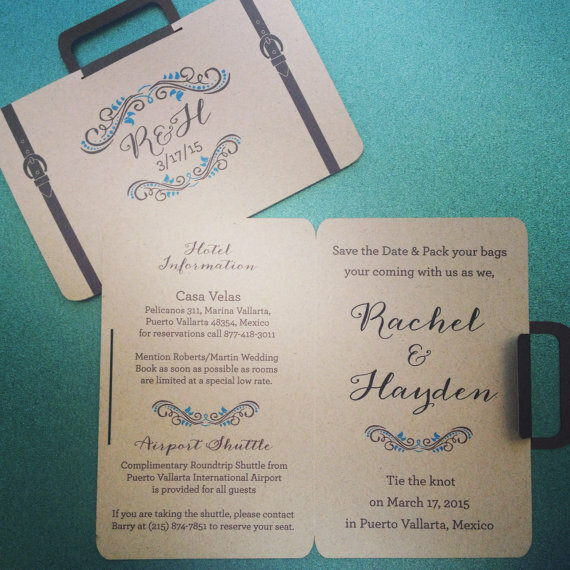 The Suitcase Destination Wedding Invitation features a large printable area for Hotel and Travel information. The invitations color scheme and paper can be customized for you (see paper selection in last picture). Can be used as a Save the Date or Invitation for variety of events including Weddings, Bridal and Baby Showers even Birthdays.